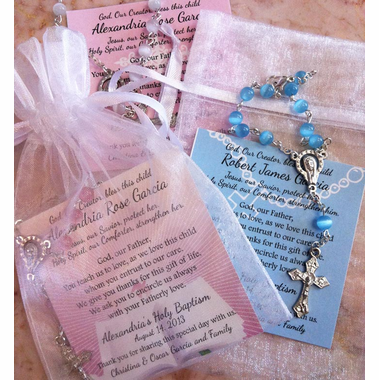 You will find that our baptism favors rosaries will be treasured by your guests for years to come. 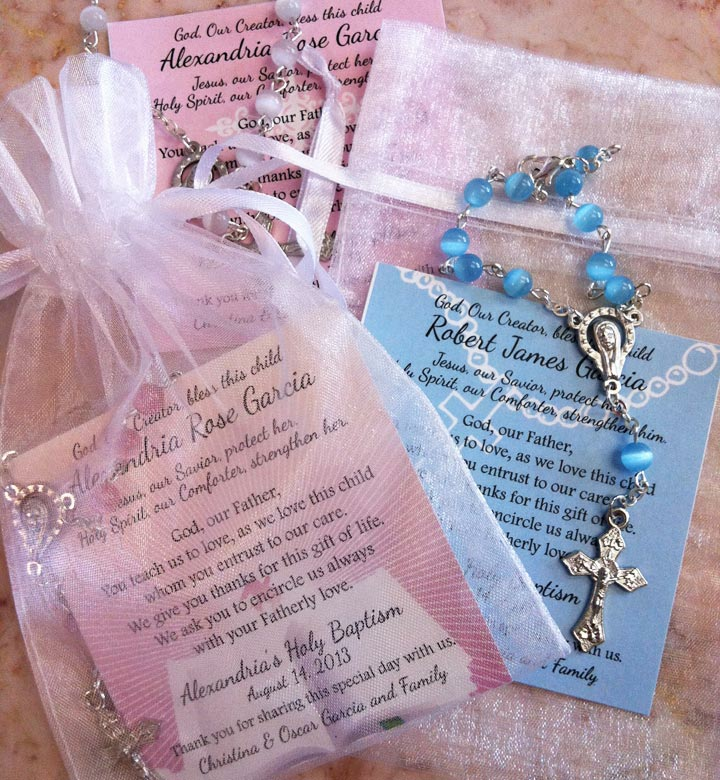 One of these beautiful mini rosaries are placed inside a white organza pouch that measures approximately 3 inches wide by 4 inches long with a personalized prayer card inside. 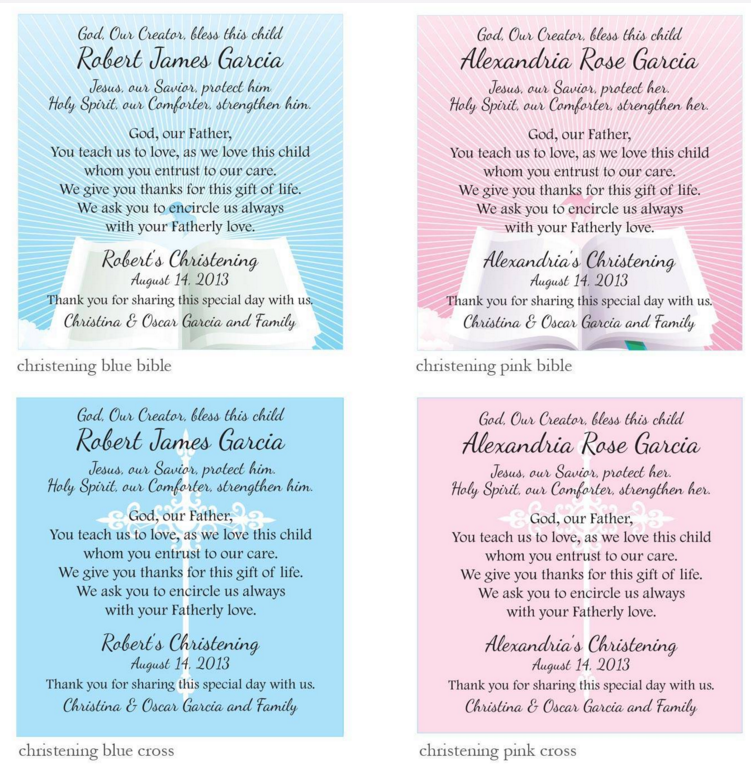 What a meaningful gift to give in remembrance of your special event - a baptism or christening is a religious occasion to thoughtfully celebrate! 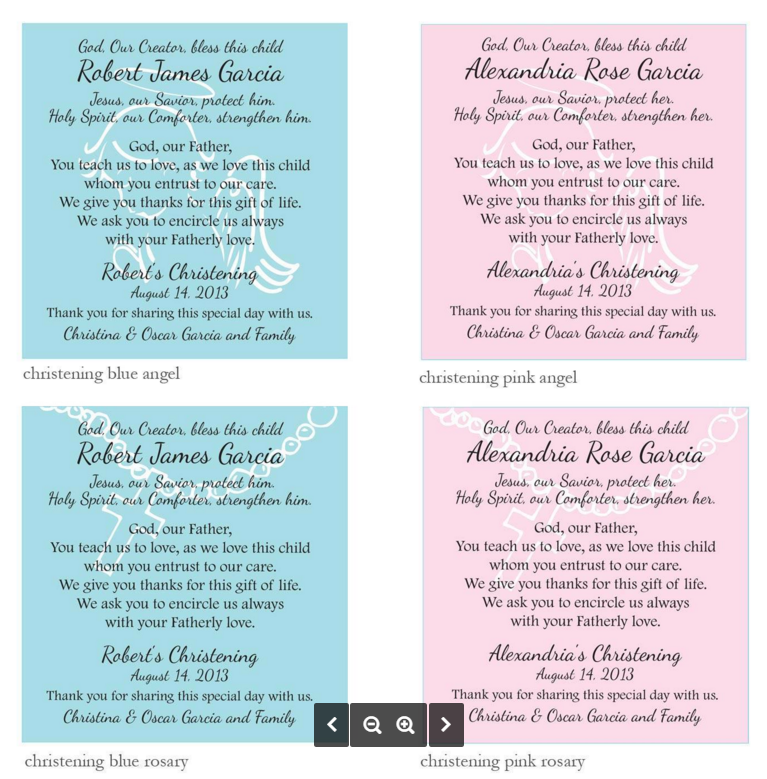 Friends and family will appreciate the small personalized card with a lovely prayer that comes tucked inside the white organza bag - our customers love using the cards for keepsake or scrapbook use to remember your special time for seasons to come. A rosary gift is a lovely expression of your love and blessings. 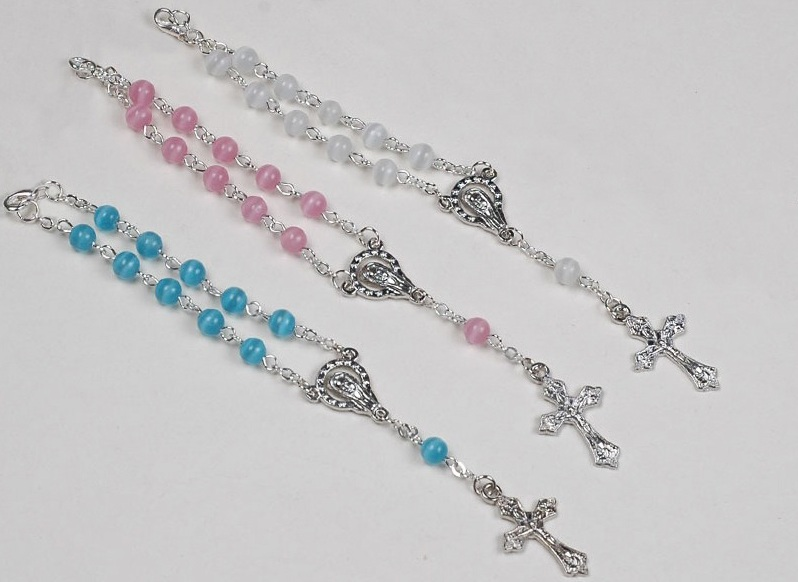 Each high quality mini decade rosary is silver plated with your choice of blue, pink or white polished glass beads measuring approximately 6 inches in length. It is imported and features a detailed crucifix and lovely Holy Mother icon centerpiece. The prayer card measures 3" x 3". Your order requires two weeks in production, add shipping time on top of that. The rosary bracelets are beautiful gifts for the guests at my grand daughters's baptism. The ribbons were so pretty with the printing and cross. I hope everyone will order these because I am overjoyed.